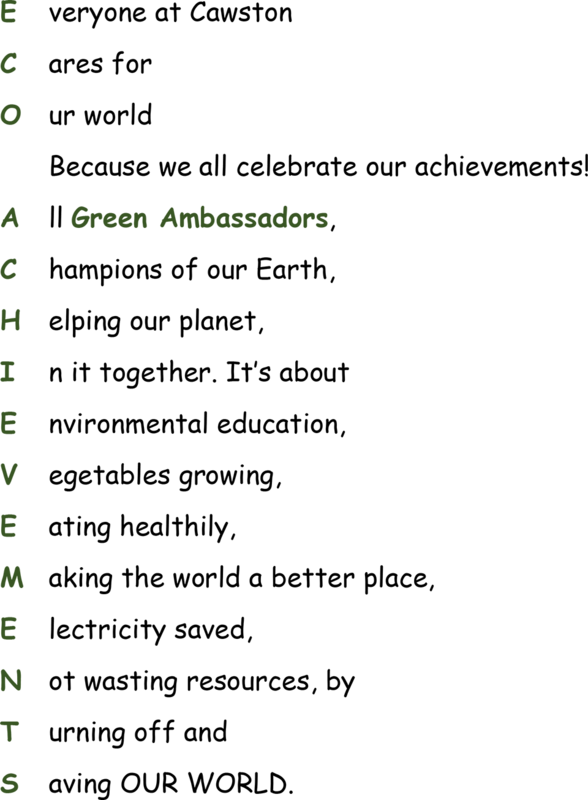 Our school has an Eco-Action Team made up of children from all classes. We were awarded the Eco Schools Green Flag in April 2010 and again in July 2012 and January 2014. “Following your recent green flag assessment I am pleased to confirm that you have been awarded your Green Flag. We meet regularly to discuss ways to promote environmental awareness in our school community. Weekly assemblies deliver messages and highlight forthcoming events and foci, with children participation and leadership encouraged. We are keen to do our best to reduce, to re-use and to recycle. Watch an interview with our Head Teacher and Eco leader about their greenhouse made out of plastic bottles.